Our continual search, rich in emotions, tastes, new paths that push us to rediscover the flavor of ancient traditions, has led us to select these top-quality gastronomy delicacies from producers who share our passion for excellence and who have believed in our project. The best Balsamic of our territory. Products with unique and unmistakable features. Raw Materials: Cooked must from grapes harvested in Modena or Reggio Emilia provinces of permitted vine cultivars. Making Procedure: the initial alcoholic fermentation that transforms sugars into alcohol changes into acetic fermentation where alcohol becomes Acetic Acid, aging period inside a set of wooden casks, refilling procedure throughout the years, annual withdrawal and bottling. The overall procedure is carried out on small scale. Legal Aging: The residence time of the product inside the set of barrels is ruled out by the refilling and withdrawing procedure. The minimum aging time is not less than 12 years. By the way, did you know that from a casks-battery (usually 5 to 6 casks per battery, the first and biggest cask starts with 50-60 liter, the last one 15 liter) of Traditional Balsamic Vinegar of Modena, we collect ONLY 10% of final product from the last and smallest one -about 1,5 liter- every year? This Vinegar must undergo strict rules of production. 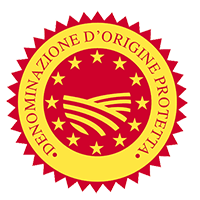 ONLY the ABTM CONSORTIUM can certify the quality of the bottled product, in a precise way set by the law. 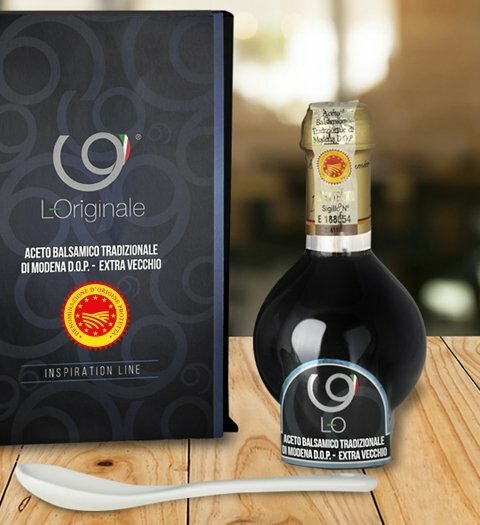 L-Originale only deals with 12 and 25 years old vinegar.